Learn the basics of federal bankruptcy laws and the bankruptcy process. This Guide provides an overview of Chapter 7, Chapter 11, and Chapter 13 bankruptcy. Bankruptcy refers to the legal status of a person or business that cannot repay the debts owed to creditors. The Bankruptcy process normally initiated by the debtor, however formal Bankruptcy proceedings do not begin until there is an official court order by a United States Bankruptcy Court. Generally, Bankruptcy relieves the debtor from their debt by either discharging the debt or restructuring the debt. Chapter 7. This is basic liquidation of debt for individuals and businesses. It is the fastest and least complex form of bankruptcy. Chapter 9. This is municipal bankruptcy. Only towns, cities, etc can apply for this. Chapter 11. This is a reorganization or rehabilitation of debt which typically allows companies, or individuals with substantial assets, to continue operations while they follow a debt repayment plan. Chapter 12. Rehabilitation of debt for family farmers and fishermen. Chapter 13. Rehabilitation allows individuals with a regular source of income to develop a plan to repay all or part of their debts. Chapter 15. International Bankruptcy - this helps foreign debtors to clear their debt. When you file for Chapter 7 Bankruptcy, you are technically placing the property you own and the debts you owe into the hands of the bankruptcy court. During this process, you’re not allowed to give away or sell any of your property and/or you cannot pay any of your debts without getting the consent of the court. The court appoints a “bankruptcy trustee” to oversee this entire process. The trustee’s job is to review your list of assets, determine which assets are non-exempt, sell the non-exempt assets, and repay your creditors as much as possible. Chapter 13 Bankruptcy allows an individual or business to keep their property, and they pay most or all of your debts back over a three to five-year period. However, Chapter 13 Bankruptcy isn’t for everyone. Because Chapter 13 requires that you repay your debts, you must prove to the Court that you can meet these payment obligations. Chapter 13 Bankruptcy requires you to fully repay certain debts. These are called “priority debts.” Priority debts include things like child support, alimony, wages you owe to employees, and certain tax obligations. Your repayment plan must also include monthly payments for secured debts, such as your automobile loans and your mortgage. At the end of the month, any disposable income you have left will go towards repaying unsecured loans. Unsecured loans are things such as credit cards and medical bills. Individuals - Chapter 7 or Chapter 13? Chapter 11 Bankruptcy permits businesses, or individuals with substantial assets, to reorganize. It is available to every business, whether it is organized as a corporation, partnership, sole proprietorship, or by an individual. Petitions for Chapter 11 Bankruptcy are typically filed voluntarily, however the creditors can band together to file an involuntary Chapter 11 petition against a defaulting business. Most businesses file their petition for bankruptcy where their primary place of business is located. However, they have the option to file for bankruptcy where they are domiciled. For example, many large corporations are incorporated in Delaware and will choose to file for bankruptcy there instead of in their home state. 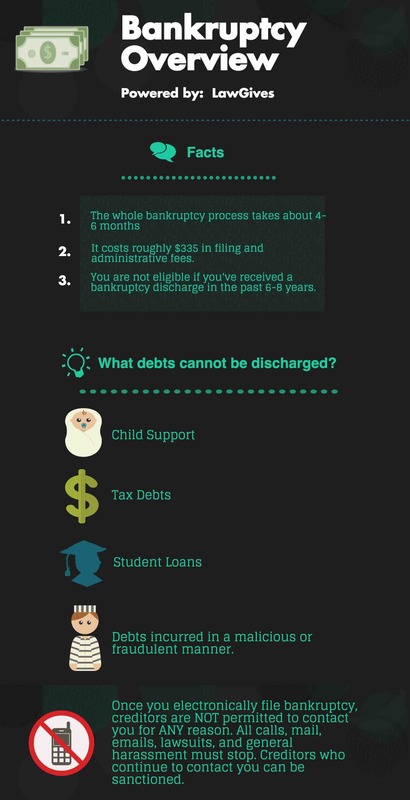 During the Chapter 11 Bankruptcy process, the debtor continues to operate their business. However, the Court must approve decisions to sell assets, break leases, shut down or expand business operations, or entering into contracts and agreements. Feasibility. The bankruptcy court must determine that the reorganization plan is likely to be successful. The debtor must be able to show that they are able to generate sufficient revenue in the future to repay creditors. Good Faith. The plan cannot be in bad faith or generate revenue through illegal means. Best Interests of Creditors. The plan must allow for creditors to receive as much as they would if the debtor’s case was converted to a Chapter 7 liquidation filing. Fair and Equitable. This means that secured creditors (a creditor who has a mortgage or lien against property) are paid in full and the debt’s owners do not retain anything on behalf of their equity interest until the debt is paid in full.